I try to keep a hoppy beer on one of the two taps of my kegerator at all times. I'm often disappointed when I buy hop forward beers at the store, not that craft brewers aren’t making some tremendous IPAs, but too often by the time I take them home they aren't as fresh as they should be. I've given up buying any beers where freshness counts that aren't dated (or just released). One of my least favorite characters in a beer is the stale odor of oxidized American hops, for some reason aged out European hops don't bother me nearly as much. There aren't many red/amber ales I love, too often they have an unbalanced caramel sweetness, sold more on appearance than flavor. I brewed Jamil's Red Ale recipe a few years ago, but it wasn't hoppy enough for my tastes (his recipe in Brewing Classic Styles looks better). Founder Red's Rye PA has been one of my favorite beers for years though, and there are certainly a few others that I've thoroughly enjoyed (like North Coast’s Red Seal Ale and Maine Beer Co.’s Zoe Ale). My recipe is not intended to be a clone of Red's Rye (or anything else), but I borrowed the idea of hopping a red ale like an IPA rather than a Pale Ale. For the grist, in addition to pale malt I added a couple German cara-malts to add some sweetness and caramel flavor, and pale chocolate to increase the color without adding a roasted flavor (a smaller amount of Carafa Special would work as well). The hopping strategy was the same as many of my hoppy beers, with additions at the start and end of the boil, as well as two additions in the keg (one at room temperature followed by another cold while serving). I used a combination of Centennial and Amarillo, two of the fruitier American hops. I've read a lot of debate about how long it takes for dry hops to impart a "grassy" flavor. Many people report just a couple weeks, but that doesn't match with my experiences (I've left whole hops in the keg for months without issue). My assumption is that the green flavor brewers are getting is chlorophyll. As a result pelletized hops (which have been ground up exposing the interior of their cells) would cause the problem faster than whole hops (for the same reason that mowing the lawn makes it smell grassier). This batch used all pellet hops (leftovers from my recently kicked Pliny the Younger clone), so it will be interested to see if I notice any difference with how the flavor changes as it sits on tap. 85.7% - 9.00 lbs. American Pale "2-row"
2.00 oz. Centennial (Pellet, 8.50% AA) @ 60 min. 2.00 oz. Amarillo (Pellet 6.70% AA) @ 0 min. 2.00 oz. Centennial (Pellet, 8.50% AA) @ 0 min. 3/19/11 Made a 2 L starter with 6 oz of DME. Quick start, going strong after 6 hours. Shook several times. Collected 6.5 gallons of 1.050 runnings from a batch sparge. Added half of flame out hops, waited 10 minutes before chilling. Waited 1 minute after chilling started to add the second dose of hops. Forgot to add gypsum earlier, so tossed in 4 g midway through chilling. Chilled to 67 F. Decanted 1 L of the starter, pitched, and shook for 3 minutes to aerate. Left at ~62 F ambient to start fermenting. Good fast start to fermentation. 3/26/11 A bit of krausen left, but I needed the yeast cake so I racked to a keg left at ~62 F to finish fermenting if needed. 4/2/11 Added 1 oz each centennial and Amarillo pellets in a hop bag with some marbles to weigh them down. Gravity was still 1.018, hoping it will drop a bit more now that the temperature is a few degrees higher (tasted great though). 4/9/11 Moved to the kegerator before switching out the hops and hooking up to the gas. 6 hours later switched the hops out for a fresh dose, and hooked up to 10 PSI. 5/11/11 What a great beer, nice citrus hop character, plenty of toasty malt to back it up, not too sweet. If you find yourself Portland, check out Double Mountain's IRA (India Red Ale). Unfortunately they aren't bottling yet. Now you're right in my wheelhouse. I like some of the additional color, body, and flavor from hoppier reds and even black IPAs. I like to add some darker crystal malt for some sweet, caramel, and even a little raisin in a recipe like this. Just a little. I also think some crystal gives a reddish ale that real gem like quality. To offset that potential sweetness I've been using Wyeast 1764 Pacman. It finishes really clean and if you aren't careful too dry. And I agree with your assumptions about pellet hops and dry hopping. They work fine, but I do think you can get a grassy flavor that doesn't happen with whole hops. And with a hoppy beer fresher is better anyway. Thanks for the great blog and I can't wait to read your tasting notes on this beer! Midnight Sun's Sockeye Red is a nice hoppy Red IPA... but I don't think you can find it outside the Western US states. I just brewed something similar. GP, C-40, C-120, munich, special roast and pale choc. Hopped with summit to about 87 ibus. OG 1.082 Wy 1272.
that grist is almost blow for blow JZ's Evil Twin, just with a less OG, therefore those spec grains are playing a big flavor role. And of course less hopping. I did a Evil Twin variant, but I thought the hops were not enough at all. I need to start dry hopping again! On a side note, I will be living up by san fran for an internship right around the time Heretic Brewing is opening. 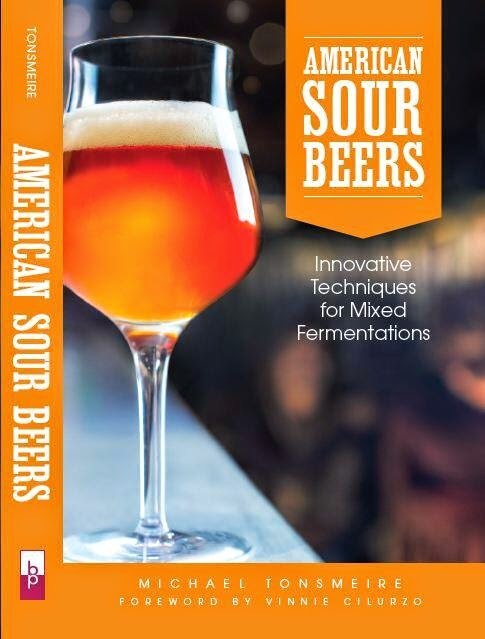 Can't wait for some potentially excellent American sours to be on the market! Thanks for the commercial suggestions, I also failed to mention Green Flash Hop Head Red. Sunday I brewed a bitter with 4 oz of C120, but I wanted to keep this one a bit cleaner to let the hops shine through. I'm interested to see how Jamil's brewery does. After being such an advocate of brewing to style (and proclaiming that he isn't too interested in sour beers) it is surprising that he is start off with such interesting beers. Might be awhile before the sour red is released. Interesting mash schedule. What made you mash that way? Sadly 3.5 years later I don't have a recollection. Odds are I undershot my intended single infusion temperature (149 F is on the low end for a beer like this) or I was trying to get it up for mash-out and didn't have enough room in the mash tun. Either way, you'd likely be fine targeting a temperature around 152F for the duration! How would you go about doing the second dry hopping if you bottle? You could add the first dose of dry hops while fermentation is slowing down and the second after most of the yeast has dropped out. Although, if you don't have the ability to purge with CO2, you may be better off adding all of the dry hops together while the yeast are still active (that way they'll scavenge any oxygen introduced). Really is an absolutely cracking beer. If I wanted to tone down the bitterness to about 40 ibus (looking for more of a hoppy amber than a red ipa), would I need to scale back the specialty malt to prevent it from being too sweet? Wouldn't hurt, it had some sweetness that could be out of balance without as much bitterness (depending on your tastes). You could also back down on the original gravity. 20 months later...looking for a Red recipe, thanks!! This is it! Like to chime in on dry hops and grasssy taste. I've been experimenting with 6-8hr dry hops, pellets. Got that grassy/salty glavor with last pilsner/mosic (3oz-dh) smash. But previous 2 beers using even more dh, did not. Go figure! Thanks for all you do for home brewers! Do you have by any chance a picture of the finished beer? Check out the tasting notes, they're linked from the last line of the Notes at the bottom of the post. Do you have a water profile recommendation for the India Red Ale? I'd aim similar to a NEIPA, ~125 PPM chloride and sulfate. Might take a little carbonate to keep the mash pH where you want it given the darker malts (or in my case just no acid to lower the pH). I'm gonna brew a modified version of your recipe this week-end . However I was wondering why the 75 minutes boiling? From what I could gather from the internet, is that it produces more melanoidins (and browing of the wort), which is desired. Is it your reason? Melanoidins are formed during the boil, but an extra 15 minutes won't make an appreciable difference in the finished beer. I was likely just tweaking the timing to hit my gravity/volume. I'm craving a Red IPA for my birthday next month and this looks like it could be it. I can't get pale chocolate where I'm from - if you were to use Carafa Special, how much would you use? It won't be exactly the same, but it should still be delicious. I'd aim for the same SRM (13-14). Given that Carafa Special 1 is about twice as dark as pale chocolate, it will probably be around half as much. Best of luck! So I brewed this and I couldn't help myself to screw around with the recipe a bit :). For the malt, I used 84% 2-row, 4% CaraMunich, 10% CaraRed and instead of the Pale Chocolate, 1.5% Carafa Special 1. I left the hops pretty much unchanged, except I dry-hopped with Citra. It turned out pretty good but a bit too malty and roasty for my taste (totally my fault with the malt bill). Next time I'd go with 1% Carafa and get rid of the CaraRed and just go with your malt bill.